For those of you who plan to ride the Dragon's Back on Feb 2nd 2013 perhaps give it pass and maybe hike it instead! Green Power Hike is one of the largest charitable walkathons. Each year, around 3,000 participants walk for a green cause. Donation raised in the Hike is used for development of environmental education in Hong Kong. The 20th Green Power Hike is now open for entry; people of all ages are welcome to join. 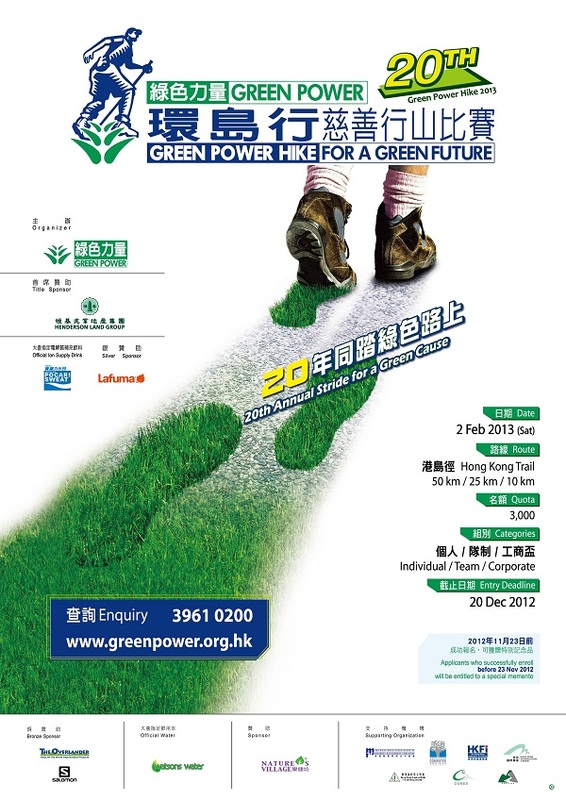 Come and join The 20th Green Power Hike now! An estimated 20 cyclists have perished on the roads on Hong Kong last year, a tragic record according to Martin Turner of the Hong Kong Cycling Alliance. One in six road fatalities are now cycling related and cycling related injuries are also at record levels. This is #%$@ crazy! The HKMBA have always advocated for safe cycling not just on trails but everywhere. Roads connect us to our trails and they should be just as safe but sadly they are not. The seventh anual Ride of Silence will be held on May 16 at 7:15pm. Meet at the Clock Tower on the Tsim Sha Tsui promenade. A short speech will made and then we will embark upon quiet and gentle ride to Sham Shui Po. The EPD is Proposing to spoil the stunning views and waters ofF the Chi Ma Wan Peninsula and South Lantau with a super incinerator at Shek Kwu Chau. The EPD have been struggling to cope with Hong Kong's solid waste and have already been blocked from expanding an existing landfill into a country park. 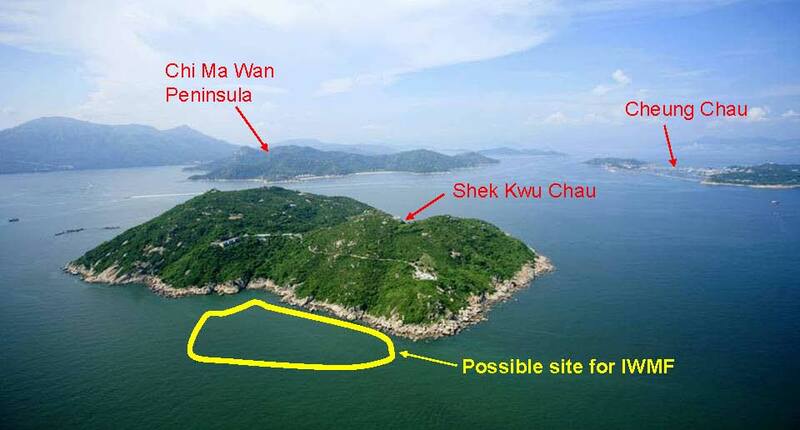 With no one wanting a super sized incineration facility or landfill in their backyard, the EPD are seriously considering to locate Hong Kong's future waste handling facility as far away and out of sight as possible --- on an island just off the coast of scenic South Lantau and near one of HK's most scenic mountain bike trails, Chi Man Wan. Naturally, many question why one of HK's most unspoilt and scenic areas would be selected as a potential super incinerator site. 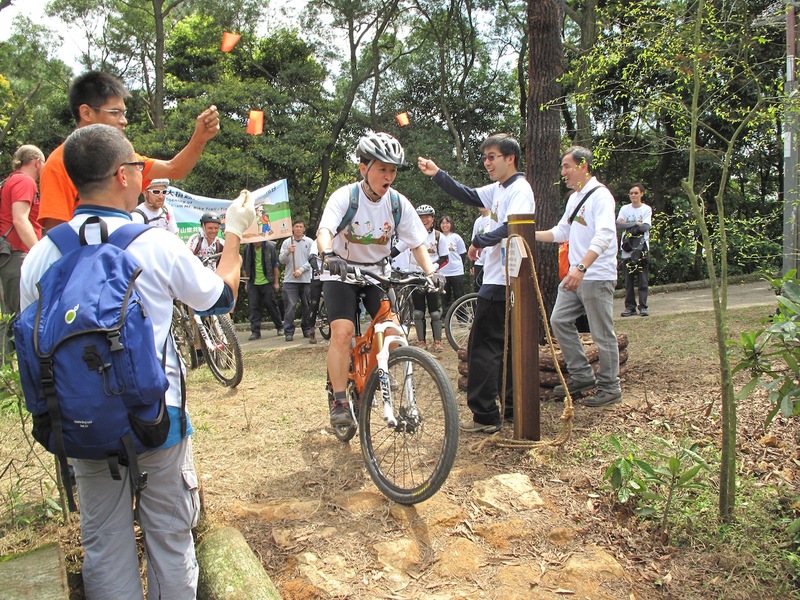 25% of the year emissions will be blown over South Lantau and the Chi Man Wan MTB Trail. Even the kind of incineration technology is even regarded by many as outdated. If you object to these plans then you can sign a petition or join a protest on March 18. 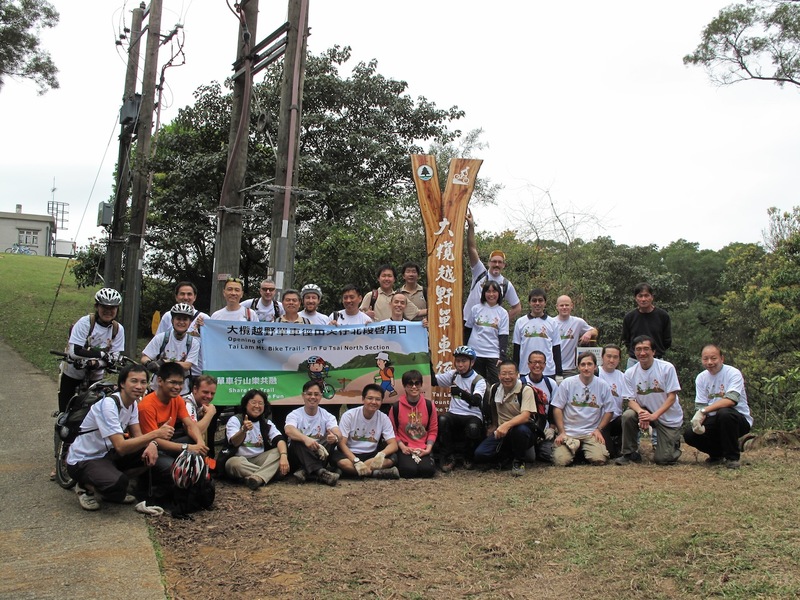 On March 4 2012 The Tai Lam AFCD with the participation of Volunteers from the HKMBA and HKCA completed the last section of the Tin Fu Tsai North MTB Trail. This 2.1 km trail loop is now open to all mountain bikers. For the past three months the AFCD, with participation of volunteers from the HKMBA and other groups, have been as busy as Canadian beavers building yet another IMBA standard, sustainable mountain bike trail in the forests of Tai Lam Country Park. Following the short beginner track constructed near the Twisk Management Centre, this marks the second new trail opening in the past twelve months. This trail section is hopefully a prelude to the more challenging project of refurbishing the illegal and popular "Tin Man" trail that starts at the Fire Lookout just 50m up the road from the trailhead. Over 60 volunteers were trained and supervised by IMBA Trail Solution specialists Tony Boone (USA) and HM Lim (Singapore). Many volunteers returned for a second and third session of trail building which involved digging full bench cut trail along the entire trail together with burms and rock re-inforced features where needed. The HKMBA and our volunteers would like to express our most sincere thanks and gratitude to the AFCD staff, especially those based in Tai Lam Country park, who in the past two years have put immense effort and energy into improving MTB trail network in Tai Lam Country Park by adopting the highest standards of sustainable MTB trail design available anywhere and puting these concepts into practice. Kay Wong, one of the volunteers, posted this video of the days work, celebration, and first ride down the trail. More photos from the last trail building day can be found in the HKMBA Gallery. 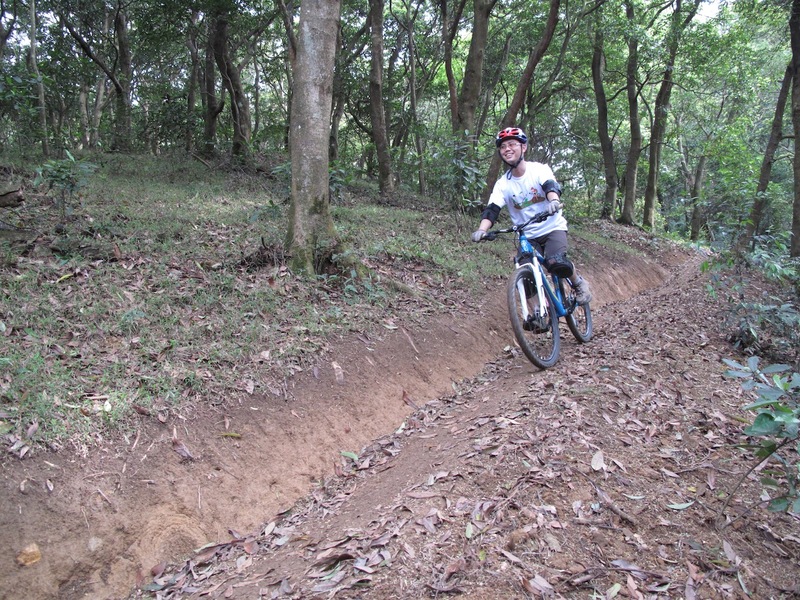 Other riders have posted trail reviews of the new trail in the HKMBA Forum too. Note: the AFCD has updated its MTB trail map for Tai Lam to include the Tin Fu Tsai North MTB Trail. It can be downloaded here.